If you have dreamed of remodeling your home but became overwhelmed in the past, contact Razzano Homes & Remodelers today for a free consultation! 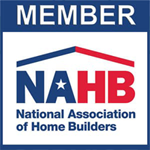 We have completed over 150 custom home builds and remodeling projects on time and on budget in New York state, and look forward to hearing from you! 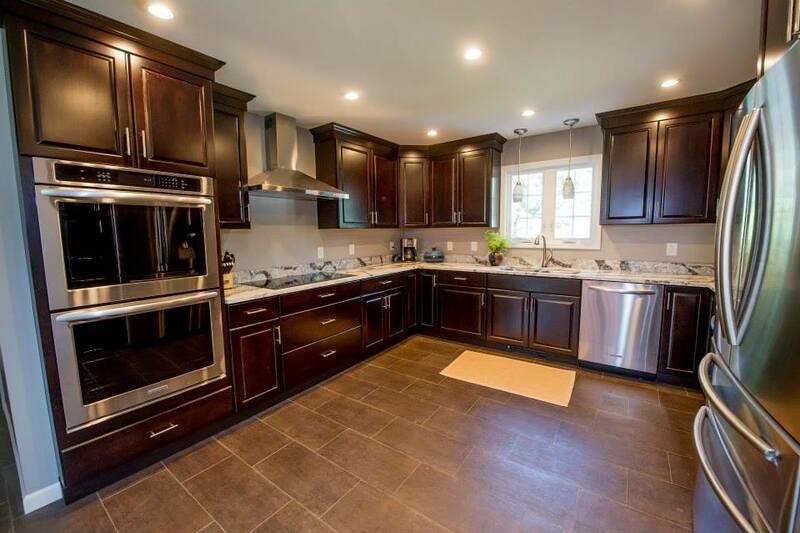 The following is taken from a recent neighboring Loudonville Kitchen Remodeling project. 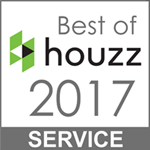 Since 2007 Razzano Homes & Remodelers has excelled in home building and renovation projects throughout New York’s Capital District. We operate using a consultative approach with our customers, meaning we begin every project by getting to know you, your home, and your lifestyle as best we can. It i important for a successful renovation that we understand your goals and visions for your new space. 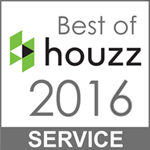 Our intention with every job is not only a stunning new home or remodel, but that our customer has thoroughly enjoyed their experience. 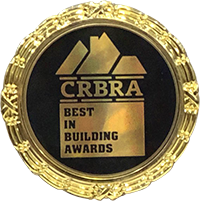 The experience of a home building and remodeling company that has completed over 150 projects in the Capital District in the past eight years. Razzano Homes & Remodelers has served the construction needs of Loudonville, New York flawlessly for years, so whether you are a homeowner in need of superior service and craftsmanship, or an architect seeking a project collaborator, you can depend on us. A hamlet in the town of Colonie, Loudonville is home to a little over 10,000 residents. Its name came from John Campbell, the 4th Earl of Loudon and it was originally a 19th century summer resort for some of Albany’s wealthiest residents. This Albany County community is situated on U.S. Route 9, directly north of Albany and south of Newtonville. Several historic Jeffersonian mansions line Loudon Road. Strict zoning regulations by the town of Colonie have prevented commercial development, which maintains their tight-knit community ambience. We invite you to contact us to schedule a consultation for your next project in Loudonville, New York. A kitchen or bathroom revamping can bring you the most return on your investment in terms of resale value of your home. 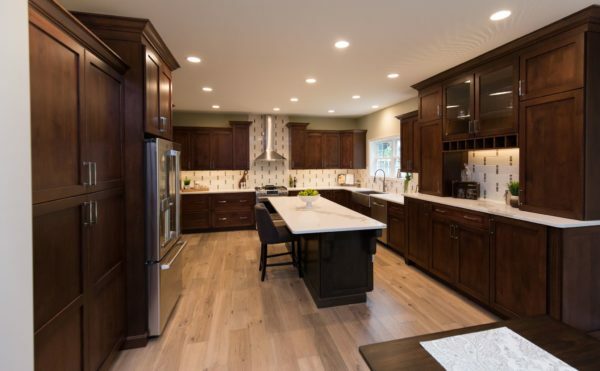 Whether you are interested in a modest kitchen upgrade or a complete overhaul, Razzano Homes & Remodelers will help create a space for you to take pride in and enjoy. As the hub of our homes, we spend most of our quality time with family and friends in our kitchens; why not turn it into our ideal space? If you are ready to upgrade your bathroom, consider how the professionals at Razzano Homes & Remodelers can turn your dreams into a reality. 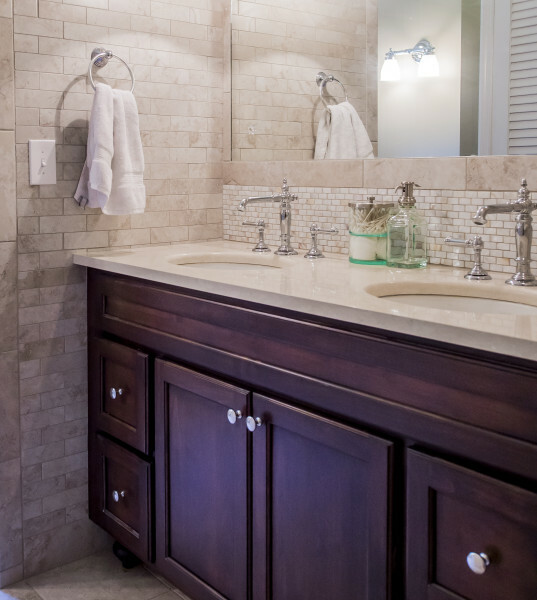 We handle a variety of bathroom enhancements, including master suites, custom showers and bathtubs, recessed lighting, custom tile and backsplashes, fireplaces, outdoor bathrooms, and so much more. Has your beloved home become cramped, but you can’t bear to think of relocating? For a multitude of reasons these days, families are opting to get creative when more space is needed rather than moving to accommodate a growing family. You might be surprised to learn that a basement renovation can increase your home’s square footage immensely. Depending on your property setbacks, additional square footage can be gained by building a second story or by adding on to your current footprint. Even if you prefer to work within your existing space, your home can be completely transformed with a whole home renovation that provides you additional living space. Your options are limitless when it comes to your home. Let Razzano Homes & Remodelers help you realize your dreams in converting your space. Home exteriors are often overlooked during upgrade discussions, but can be wonderful options in the overall value and gratification we get out of our residence. Window replacements or new siding can completely alter a property’s appearance while increasing your energy efficiency, protecting and adding life to your home. You have a range of brands and styles when it comes to window replacements, and our specialists will help you select a product that is a perfect fit. Similarly, there is a variety of siding color patterns to choose from. Some common types that we work with are Dutch lap siding, clapboard siding, cedar shake and cedar impressions, board and batten (horizontal and vertical), half round or scalloped siding, brick or stone vinyl siding, and seamless vinyl siding. Again, all of our knowledgeable team members are happy to answer all of your questions and assist in the process of siding selections. A new deck or patio can be an excellent choice to cost-effectively add square footage and a beautiful entertainment area to your outdoor space. If you are prepared to build your dream home, look no further than Razzano Homes & Remodelers to spearhead this exciting undertaking. Whether you already have a set of plans and have chosen an architect or if you are in the beginning stages and haven’t decided on a local architect, we will work with you to complete your custom home project on time and within your budget. We will simplify the process for you by being your one point of contact and working alongside a reputable architect of our mutual choosing. During your comprehensive consultation, we’ll assess your specific goals and go over any questions you may have. Additionally, we’ll go over your budget, anticipated schedule, and more. Call us today and let’s get started on your Loudonville home remodel!